Doom 3 is one of my favourite videogames of all time so when I saw it was being remastered in HD I was quite excited to say the least. 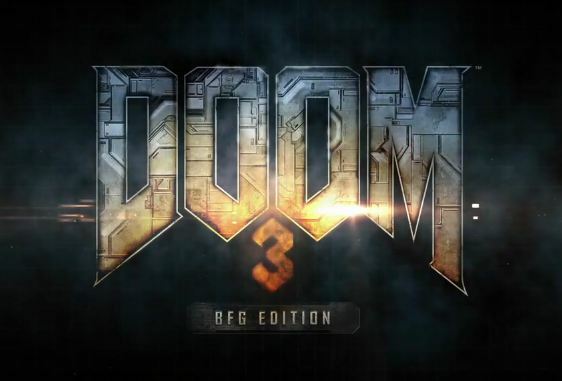 Doom 3 BFG Edition contains a remastered version of Doom 3, the expansion pack Doom 3: Resurrection of Evil, Doom, Doom II, as well as a new campaign titled 'The Lost Mission' all for a resonable price of £30. Ok, so you also get multiplayer, but let's be truthful; no one is going to play that! To sum up the stories then. Doom had a portal to Hell opening up on a Mars base. Doom II was the same kind of thing but this time a portal to Hell opened up on Earth. Doom 3 was story wise a re imagining of Doom, as experiments in portal technology on Mars led to an accidental gateway to Hell being created and plunging the base into chaos. Resurrection of Evil was a follow up set several years later when the discovery of an alien artifact causes a new portal to Hell to be reopened on Mars. The Lost Mission takes place 6 hours after demons start invading the UAC base on Mars in Doom 3 and concerns a soldiers attempts to destroy a gigantic teleportation device that has the power to teleport demons all the way to Earth if used. The graphics updated do look good seeing as they are based on a game from 2005 but the update to HD has caused some issues which are very minor. 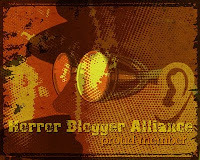 Firstly some of the textures are very muddy so have not been up-ressed, they were never intended for close scrutiny. Characters now have very pointy and angular heads that is kind of off putting, they look wrong due to the polygons, I realise it would have been expensive to create new character models. After all this is a re-release of an old game, not a remake. This also applies to the enemy designs which also look quite dated technology wise. I did not play Doom or Doom II, I own these about 5 or 6 times each on other platforms, I assume the games are the same as ever. 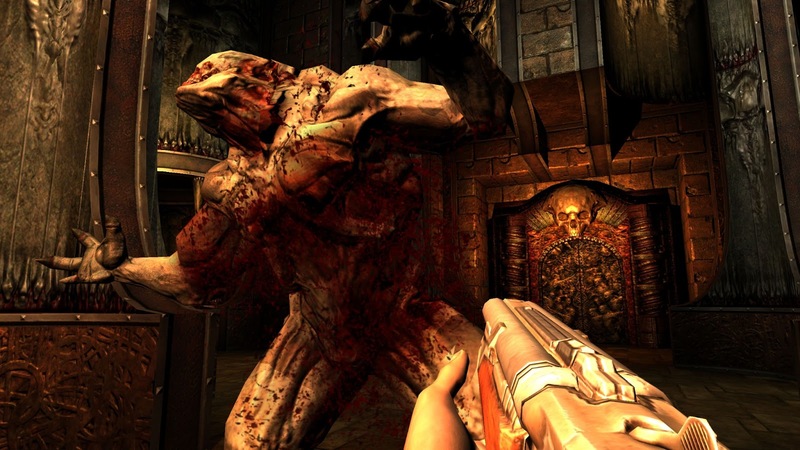 Doom 3 is still as fun as it was but has had some some would say controversial changes. In Doom 3 your torch was a risk/reward item as you were not able to have a gun equipped while using it. On the one hand it let you see through the darkness at possible hidden enemies and items, but on the negative side you had to quickly switch to a weapon if you were attacked. The BFG version does away with this, you can now get your torch out whenever and still be using your weapon. Some sections of the game are not designed for this though so it looses scares even if it is more convenient. There are now pockets of the game where you will come under sustained attack from enemies. This seems to be added in to get back some of the fast pace of Doom that critics of Doom 3 complained the game was missing. These sections feel out of place, I never really appreciated them. It is still a fantastic game, expertly designed I just wish there had been an option to play it the original way. Resurrection of Evil has shot up in my favour as it is now a good port, the X-Box version was not a good version, featuring some sloppy bugs, and a general rushed feel such as the video discs which juttered and skipped when watched. Far more fun now, I was in almost a hypnotic trance playing through it, the gravity gun blatantly based on Half Life's one but not a bad little weapon. I no longer feel short changed at it's relatively short length (three and a half hours) as I did not have to pay £20 as I did for the stand alone release on the X-Box. Very fun. I don't know why but I thought I had heard that not only did The Lost Mission take place exclusively in Hell but that there was also no audio logs or emails to be found. Both of these turned out to thankfully be false. 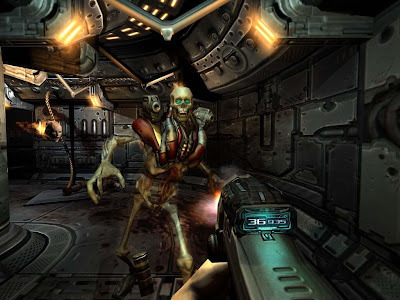 The Lost Mission is so called as it was originally planned as part of Doom 3 but got cut out. It is far more action focused than before, you are never far away from a glut of enemies spawning everywhere. The locations are all new ones with the action taking place mostly in the Exis Labs which are in the process of being built still (some of these levels are very well designed!). 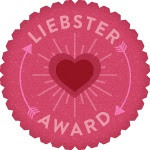 There are just the 9 staff I.D's to collect but have fantastic and quite long audio logs as well as some laugh out loud emails so there is no filler. The levels set in Hell do create a little niggle though. The labs are very linear, this is all fine as they are designed realistically, but Hell should be chaotic but instead you get pretty much a straight path from the start to finish even if the range of locations is impressive with many giant skull heads, bleeding walls and even a boat ride across a river of lava. A few new enemy types also to spice things up. The lack of variety of character models is annoying nowadays, everyone looks identical, when you see the exact same corpse for the billionth time it does take away from the immersion a bit. I also don't like that trophies/achievements include ones for multiplayer, not appreciated by me! Last complaint is the sound of the weapons still sound really puny! Overall the changes don't affect the overall experience. Doom 3 is still one of the best games I have ever played, you get a lot for the asking price, very highly recommended! Ultimate Doom would have been nice to complete the package, but I own that anyway.